International publisher Chambers & Partners published its global ranking of law firms Chambers Global for 2018 today. In this ranking Dutch Caribbean law firm VanEps Kunneman VanDoorne has the desired Band 1 firm status, like last years. HBN Law holds the Band 2 status, together with Spigt Dutch Caribbean, like last year. Band 3 consists of law firms Soliana Bonapart & Aardenburg and STvB. Last year Band 3 also held SMS Attorneys-at-Law, but this firm has ceased its activties per September 2017. On VanEps Kunneman VanDoorne Chambers says it "remains a leading firm in the Dutch Caribbean, providing a range of legal services out of its offices in Curaçao, Aruba, Bonaire and Sint Maarten. The skilled team is regularly engaged in major M&A, financing and project development mandates both domestically and internationally, most notably acting for clients in the banking, tourism and telecoms sectors. Clients praise the team's work as being of "high quality" and enthuse that "we have a lot of confidence in them." The firm also holds an impressive real estate practice and often advises on significant cross-border disputes.Additionally, the Curaçao office is home to the firm's Suriname desk, which advises on an array of regulatory, corporate and finance work." 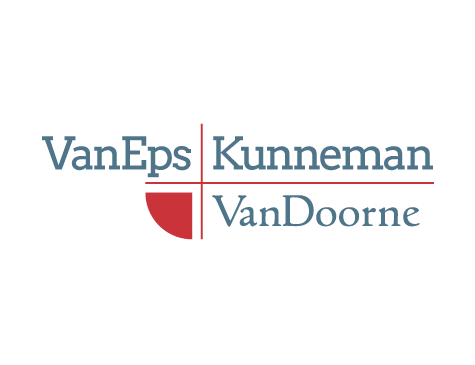 Six out of the fifteen recommended individual lawyers are partners of VanEps Kunneman VanDoorne. HBN Law has two out of the fifteen ranked individual lawyers, like last year. HBN Law is described as: "A well-established firm that maintains its strong standing in the Dutch Caribbean, with expertise in banking and finance and real estate, as well as a notable strength in dispute resolution. It has also advised on notable M&A, corporate restructuring and project matters, particularly in the telecoms, banking and tourism sectors. Clients rate the team as "outstanding" and appreciate that "they are very knowledgeable and easy to approach." Headquartered in Curaçao, the firm also has offices in Aruba, Bonaire and Sint Maarten as well as Amsterdam, with the latter strengthening its ability to take on cross-border engagements." On Spigt Dutch Caribbean Chambers says that the firm "continues to be well regarded in the market, particularly when it comes to dispute resolution, finance and corporate/M&A. It has advised on high-value international insolvency matters as well as significant cross-border financing and securitisation mandates. Although the firm is centred in a single office in Curaçao, it advises on matters throughout the Dutch Caribbean. The team regularly counsels major banks and financial institutions on significant tax and capital markets transactions." Soliana Bonapart & Aardenburg: "This firm is well regarded for its broad corporate and commercial practice. It also has a wide geographical reach within the Dutch Caribbean, with offices in Curaçao, Bonaire and Sint Maarten. The firm is noted for its strong dispute resolution practice, representing clients internationally in commercial litigation and insolvency cases. The disputes team is also active in domestic trusts and estates cases. The firm frequently acts for major banks and overseas investors in transactional finance and M&A matters." STvB: "This firm is best known for its work on behalf of major financial institutions and insurance companies in matters such as loan financing and M&A. The Curaçao team also leverages the resources of the firm's New York and Amsterdam offices in its representation of international clients. Market commentators note that "the quality of their work is very good." Chambers & Partners also annually ranks individuals. This year fifteen lawyers receive this honorable praise (last year twelve lawyers). Six of this elite group of lawyers come from Band 1 firm VanEps Kunneman VanDoorne and two from HBN Law. All other firms have one named lawyer; Spigt Dutch Caribbean has two with the special mention of Maike Bergervoet. Managing partner Eric de Vries (HBN Law) "continues to distinguish himself in the dispute resolution space, particularly in relation to matters in the telecommunications and energy industries. Peers acknowledge him as "an important player in the market," while clients appreciate his depth of insight and "to-the-point" style, commenting: "You go to Eric if you have a big problem. If you want a clear path to your goal, Eric is your man."" Karel Frielink (BZSE Attorneys at Law Curacao) "continues to be regarded as a leading authority on corporate law in the Dutch Caribbean. Market sources say he is "a very, very good lawyer" and add that "he's very smart: if I wanted to discuss a legal issue he's definitely the person I would call."" Frank Kunneman (VanEps Kunneman VanDoorne) "advises on a wide range of corporate governance, dispute resolution and project structuring matters. Clients appreciate that he is "very punctual" and that "his knowledge and experience is really excellent."" Randolph van Eps (VanEps Kunneman VanDoorne) "is the firm's key contact for Suriname matters but also impresses in the domestic market, regularly leading on large transactional mandates within the Dutch Caribbean. Sources appreciate his candid and client-focused approach, with one explaining: "I know I can speak with him freely, and if something is impossible or there's a conflict of interest he's upfront in telling me."" Martijn Welten (Spigt Dutch Caribbean) "advises on both litigation and M&A matters. The quality of his work impresses sources, who rate him as one of the strongest lawyers in the market. Interviewees also remark upon his breadth of experience and solution-oriented approach." Bonaire-based Chris de Bres (HBN Law) "is held in high esteem for his dispute resolution practice, where he has experience acting for clients in the telecoms and energy sectors. Peers value the quality of his input, with one enthusing: "He's good to work with - it was definitely a good experience." Other sources cite him as "a smart lawyer."" Sint Maarten-based Michiel Gorsira "advises clients from both the private and public sectors. 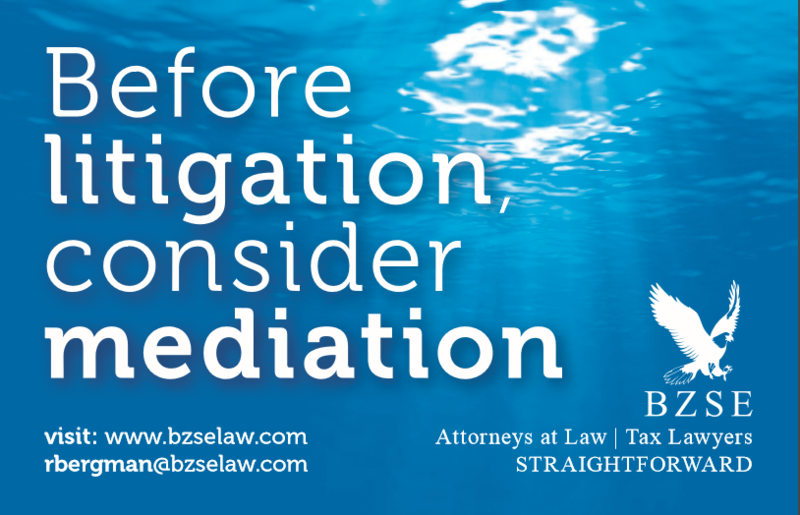 He is renowned for his litigation practice, with expertise in insolvency and, more recently, insurance disputes. Peers describe him as "a fine litigator" and acknowledge his impressive track record." Managing partner Focco Lunsingh Scheurleer (VanEps Kunneman VanDoorne): "continues to be sought after for his expertise in banking and finance and capital markets. His efficiency is valued by interviewees, with one in particular remarking on his quick response rate." Co-managing partner Thomas Aardenburg's (Soliana Bonapart & Aardenburg) "advises on both disputes and transactions, with experience handling M&A, project development and directors' liability litigation. Interviewees describe him as "a very fine lawyer."" New entrant to these rankings Sabine Altena (OX & WOLF) is "noted for her regulatory banking expertise and frequent handling of transactional and commercial contract matters. Interviewees attest to her high quality, stating that "she's very knowledgeable," and "a very good attorney" who "does excellent work" for her clients." Also new entrant, Kamla Besançon (VanEps Kunneman VanDoorne), based in Sint Maarten, is cited as "a really good M&A specialist" by peers. She regularly leads on large M&A transactions, as exemplified by her work acting for Vidanova on its acquisition of a controlling stake in SFT Bank. Patrick Brown (Brown Advocaten) is "the principal of Brown Lawyers in Aruba. He impresses peers with his ability to attract "big-player clients" in the tourism and hospitality sectors. Clients report they are "very pleased with his work."" Mirto F. Murray (Murray Attorneys at Law) "continues to be held in high regard for his broad-ranging practice. Market sources appreciate his "out-of-the-box thinking" and consider him to be a "very sharp and strong lawyer."" Aruba-based Johan Paul Sjiem Fat (Sjiem Fat & Co) is "a "very well-respected lawyer" in the jurisdiction. He is recognised particularly for his public sector expertise as well as for his commercial and corporate practice more generally. Market sources appreciate that he is "good at the work and strict in giving the right advice - he doesn't just talk to make you happy."" Experienced litigator Molly Steward (VanEps Kunneman VanDoorne) is "a respected authority on employment law in the Dutch Caribbean, providing legal counsel to a variety of corporations in sectors such as hospitality and pharmaceuticals. Market commentators describe her as "one of the leading employment lawyers in the Dutch Caribbean."" Maike Bergervoet (Spigt Dutch Caribbean) is"highlighted by market commentators for her strong corporate and finance practice. Sources attest that "she's pleasant to work with," and produces "very solid" work. Commentators go on to praise her efficiency and in-depth understanding of loan documentation requirements." For twenty five years this reputable legal publishing house has been publishing the leading directories of the legal profession. In their process they select firms based on three steps: submissions put forward by law firms upon request of the publisher; client interviews seeking feedback and lawyer interviews providing peer reviews, both administered by seasoned and objective researchers; and, finally, database research. The qualities on which rankings are assessed include technical legal ability, professional conduct, client service, commercial astuteness, diligence, commitment, and other qualities most valued by the client. Law firms and individual lawyers are ranked in bands from 1-6, with 1 being the best. For last year’s publication, please click here.